Lavender, an evergreen, pale green and woody shrub having violet blue flowers and narrow linear leaves is used to extract lavender oil. It becomes a great fighter of various diseases after getting blended with all citrus oils. Lavender oil is very helpful for those who are suffering from any digestive system problems like vomiting, flatulence, nausea and colic. This oil also helps treat ailments like throat infection, cold, asthma, whooping cough and laryngitis. 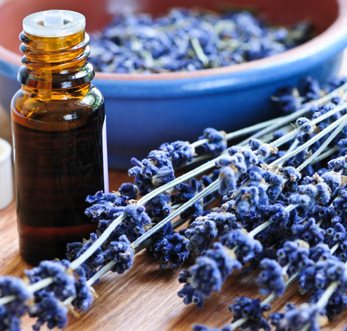 Lavender oil is also used as a room spray and a massaging agent and it helps in soothing nervous exhaustion. People can also use it as a beauty agent in a hair conditioner, facial pack and is often used by ladies as perfume for its sweet fragrance.